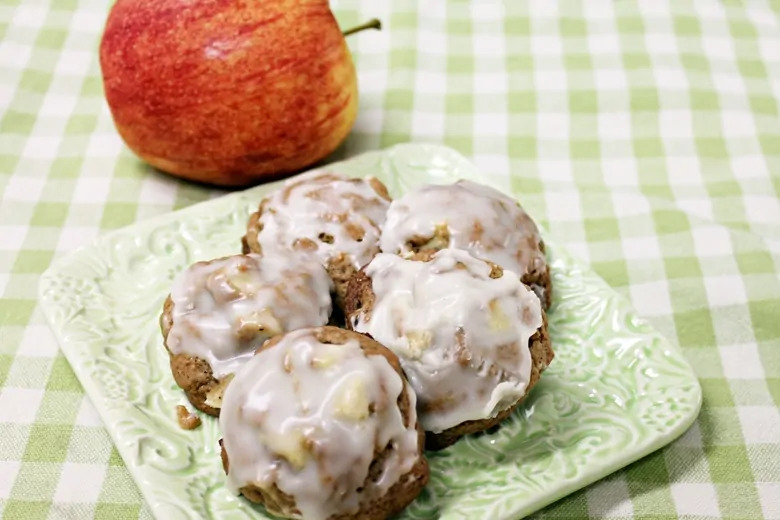 Tender pieces of apple and crunchy bits of toasted pecans make these soft apple cookies completely irresistible. Have you noticed that we have been on a total pumpkin kick lately? Between pumpkin chili, pumpkin spice pancakes, and pumpkin doughnuts, I thought that it was about time to change focus on another Fall flavor… APPLE! 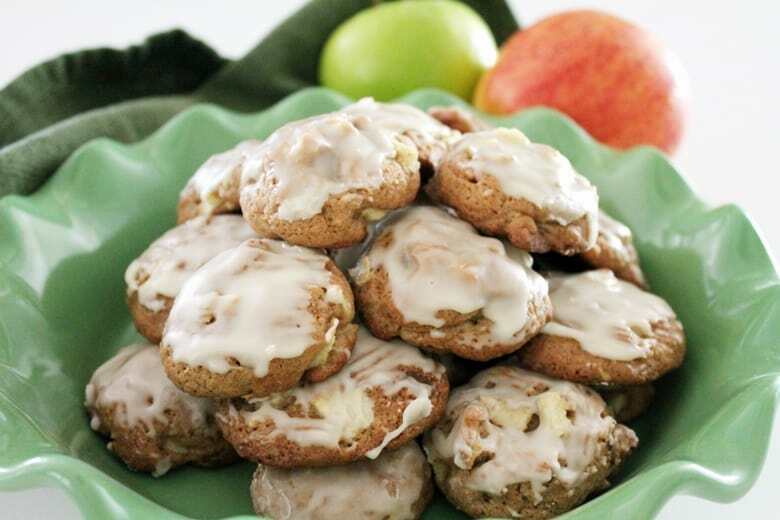 These amazing glazed apple cookies make an amazing Fall dessert. Your family is going to love them. 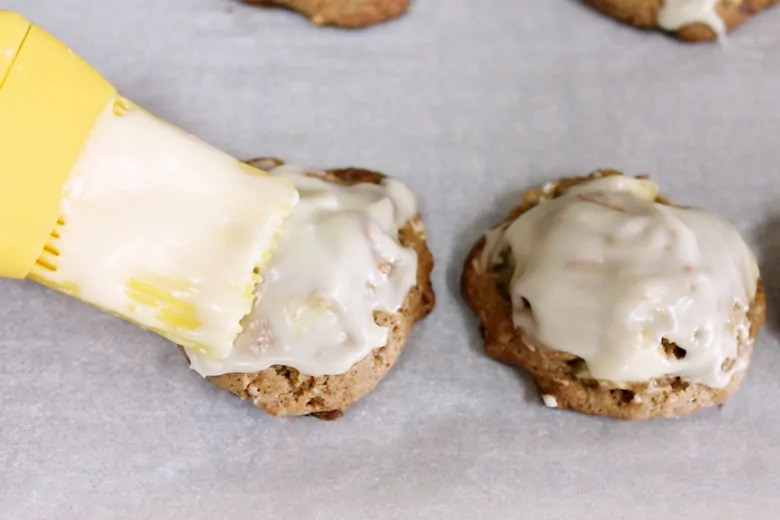 They are wonderful as a snack in the kid's lunchbox, for breakfast with your morning coffee, or served as a light dessert. Begin by gathering your ingredients, many of which you will likely have in your pantry. 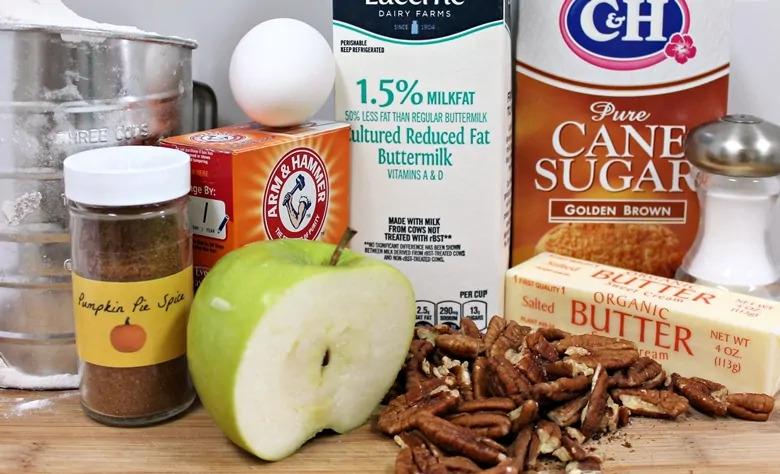 For the cookies you will need brown sugar, all-purpose flour, 1 egg, butter, baking soda, pumpkin pie spice, salt, buttermilk, toasted pecans, and of course, apples. 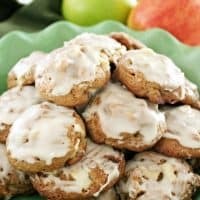 Tart apples (Granny Smith, Braeburn, or Jonathan) are your best choice for this apple cookie recipe; the small pieces are slightly firm and deliver delightful bursts of flavor that complement the sweet apple cookies and delicious vanilla glaze. If you don't have any pumpkin pie spice on hand, no worries. You can easily make your own pumpkin pie spice by combining 1 1/4 tsp cinnamon, 1/2 tsp nutmeg, and 1/4 tsp ground cloves. 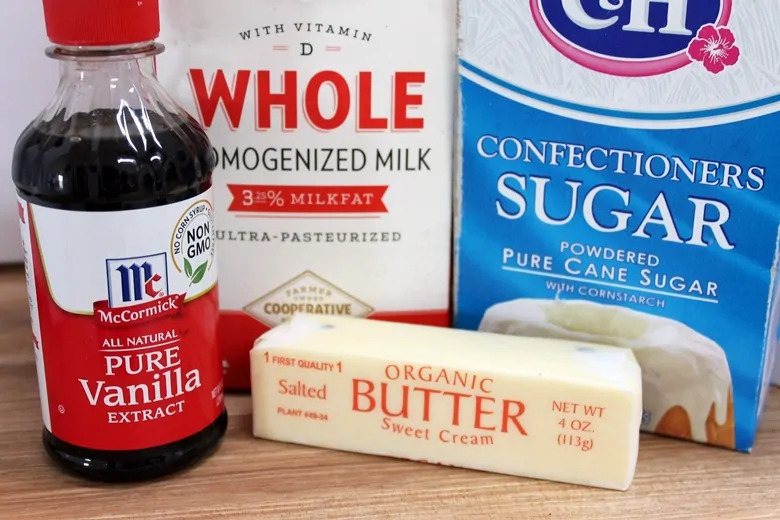 For the glaze you will need sugar, milk, vanilla, and butter. Or, if you’d like to add a unique touch to the glaze, try substituting spiced rum for the milk – yum! Let's get baking. 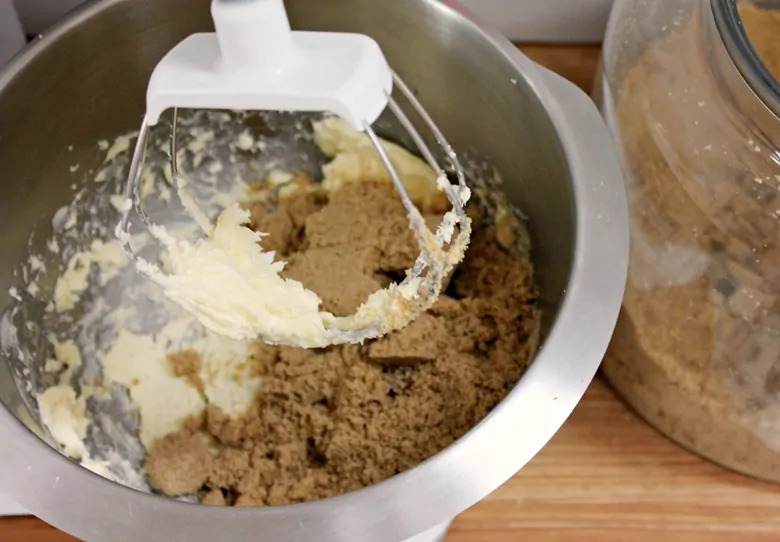 Begin by beating the butter and brown sugar together. Then, add buttermilk and egg and continue beating. Next, sift together the flour, salt, pumpkin pie spice, and baking soda. 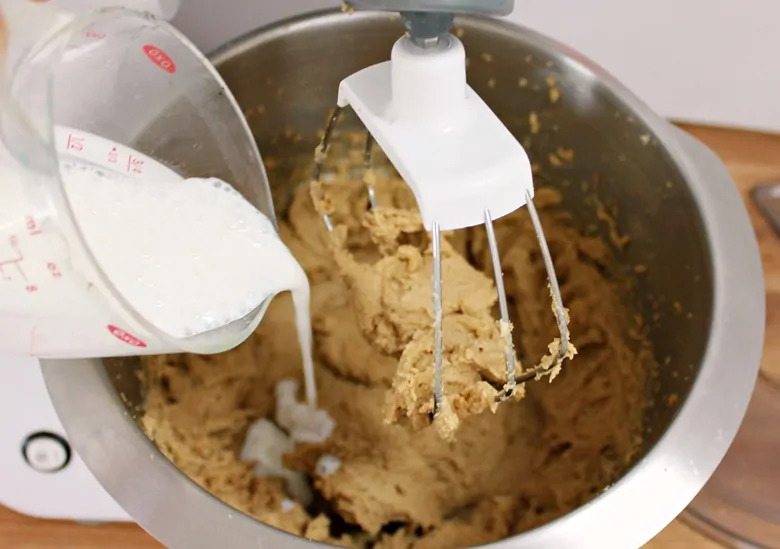 Then add all the ingredients to the butter mixture and mix until well combined. 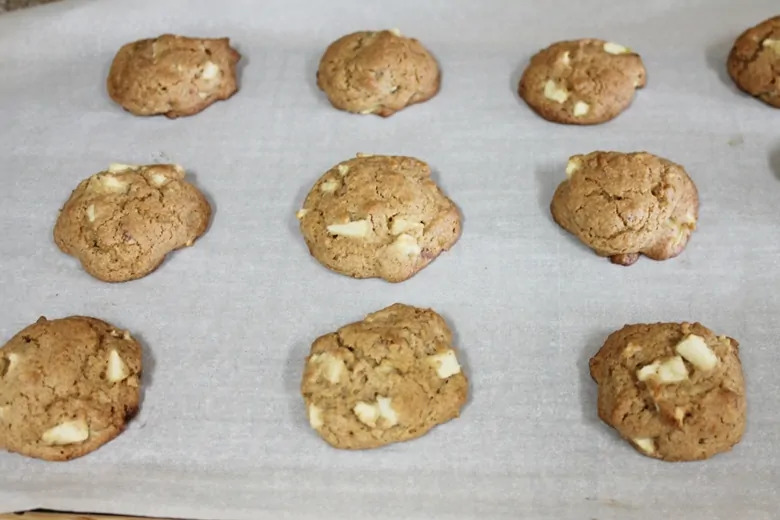 Scoop the dough onto a prepared baking sheet and bake 10-12 minutes at 375 F.
When cookies are light brown remove from oven and place on cooling rack. Glaze time! 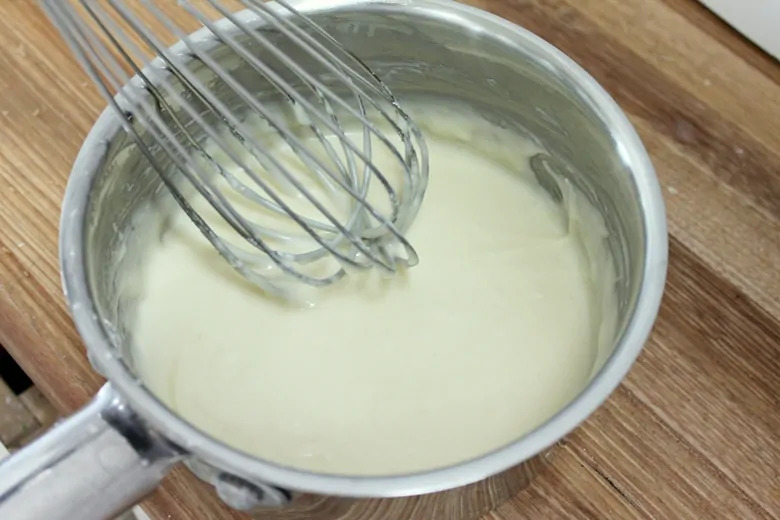 Grab all your glaze ingredients and whisk them together. Adjust amount of milk to reach desired icing consistency. 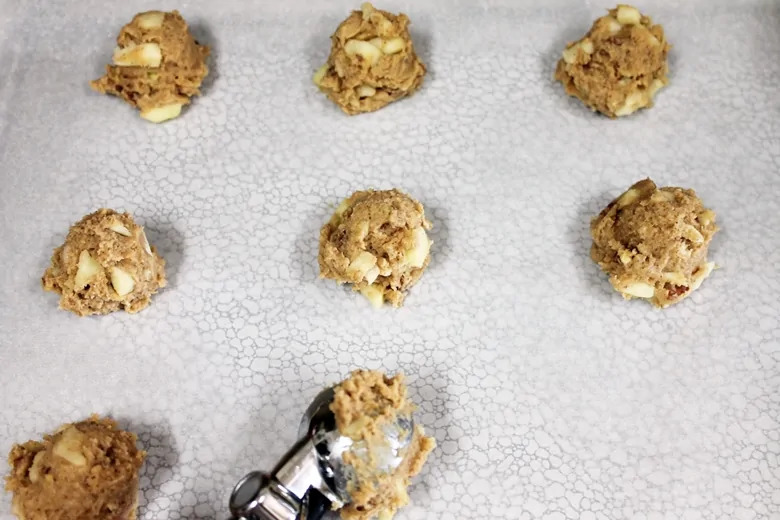 Finally, brush the glaze generously on top of the warm cookies. 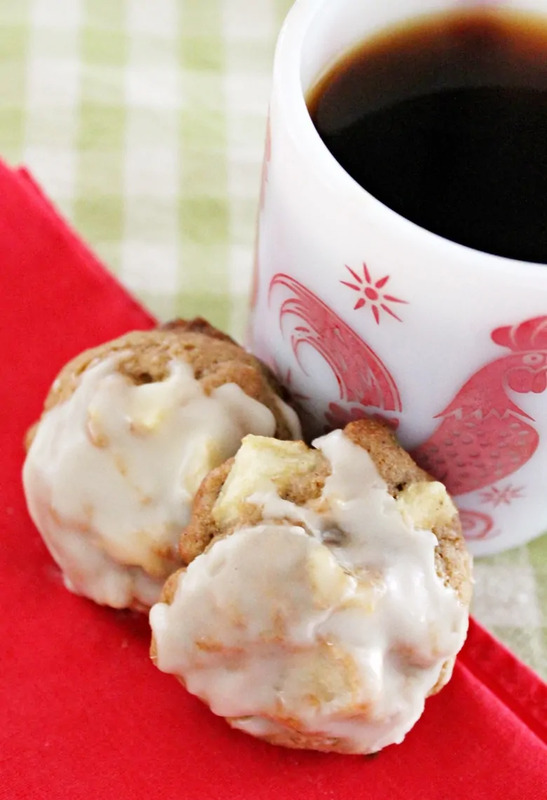 I hope you and your family enjoy these delicious soft apple cookies as much as we do! 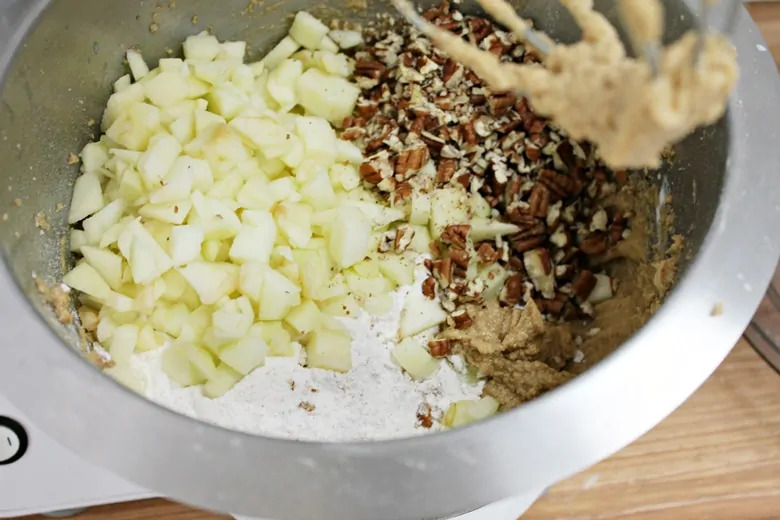 Soft apple cookies packed with tender pieces of apple and crunchy bits of toasted pecans make these tasty cookies a completely irresistible Fall dessert. 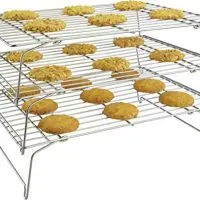 When covered and stored at room temperature, these cookies keep well for at least a week, and the flavor just improves with age. 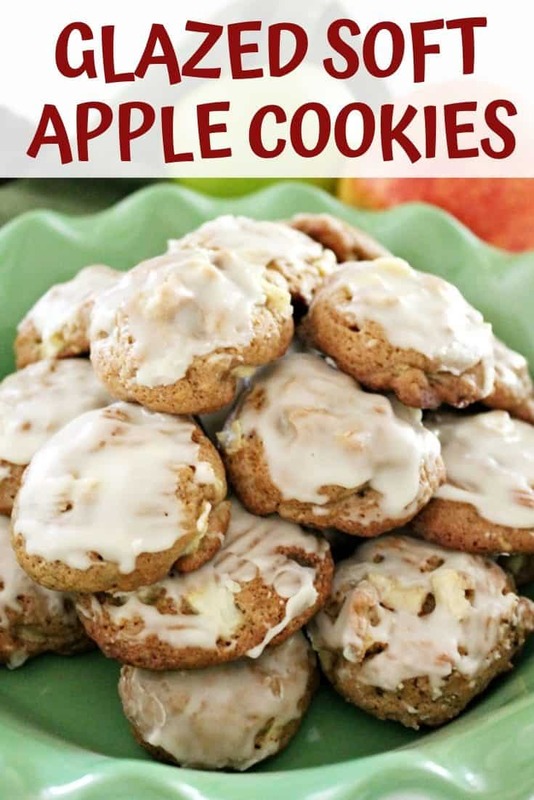 I love Apple in the fall and baking with Apple is just perfect this time of year . And these cookies look amazing. I have to remember to circle back here when I am baking with apples in another couple of weeks. This looks delicious! I’ve never heard of apple cookies. However, this looks great. I’m going to make these for my little one.